Through the years, I’ve heard dozens of management experts enumerate the qualities of great leaders. Seldom, though, do they speak plainly about the “diseases” of leadership. The Pope is more forthright. He understands that as human beings we have certain proclivities — not all of them noble. Nevertheless, leaders should be held to a high standard, since their scope of influence makes their ailments particularly infectious. The leadership team is called constantly to improve and to grow in rapport and wisdom, in order to carry out fully its mission. And yet, like any body, like any human body, it is also exposed to diseases, malfunctioning, infirmity. Here I would like to mention some of these “[leadership] diseases.” They are diseases and temptations which can dangerously weaken the effectiveness of any organization. Another disease is excessive busyness. It is found in those who immerse themselves in work and inevitably neglect to “rest a while.” Neglecting needed rest leads to stress and agitation. A time of rest, for those who have completed their work, is necessary, obligatory and should be taken seriously: by spending time with one’s family and respecting holidays as moments for recharging. Then there is the disease of mental and [emotional] “petrification.” It is found in leaders who have a heart of stone, the “stiff-necked;” in those who in the course of time lose their interior serenity, alertness and daring, and hide under a pile of papers, turning into paper pushers and not men and women of compassion. It is dangerous to lose the human sensitivity that enables us to weep with those who weep and to rejoice with those who rejoice! Because as time goes on, our hearts grow hard and become incapable of loving all those around us. Being a humane leader means having the sentiments of humility and unselfishness, of detachment and generosity. The disease of poor coordination. Once leaders lose a sense of community among themselves, the body loses its harmonious functioning and its equilibrium; it then becomes an orchestra that produces noise: its members do not work together and lose the spirit of camaraderie and teamwork. When the foot says to the arm: ‘I don’t need you,’ or the hand says to the head, ‘I’m in charge,’ they create discomfort and parochialism. There is also a sort of “leadership Alzheimer’s disease.” It consists in losing the memory of those who nurtured, mentored and supported us in our own journeys. We see this in those who have lost the memory of their encounters with the great leaders who inspired them; in those who are completely caught up in the present moment, in their passions, whims and obsessions; in those who build walls and routines around themselves, and thus become more and more the slaves of idols carved by their own hands. The disease of rivalry and vainglory. When appearances, our perks, and our titles become the primary object in life, we forget our fundamental duty as leaders—to “do nothing from selfishness or conceit but in humility count others better than ourselves.” [As leaders, we must] look not only to [our] own interests, but also to the interests of others. The disease of existential schizophrenia. This is the disease of those who live a double life, the fruit of that hypocrisy typical of the mediocre and of a progressive emotional emptiness which no [accomplishment or] title can fill. It is a disease which often strikes those who are no longer directly in touch with customers and “ordinary” employees, and restrict themselves to bureaucratic matters, thus losing contact with reality, with concrete people. The disease of gossiping, grumbling, and back-biting. This is a grave illness which begins simply, perhaps even in small talk, and takes over a person, making him become a “sower of weeds” and in many cases, a cold-blooded killer of the good name of colleagues. It is the disease of cowardly persons who lack the courage to speak out directly, but instead speak behind other people’s backs. Let us be on our guard against the terrorism of gossip! The disease of idolizing superiors. This is the disease of those who court their superiors in the hope of gaining their favor. They are victims of careerism and opportunism; they honor persons [rather than the larger mission of the organization]. They think only of what they can get and not of what they should give; small-minded persons, unhappy and inspired only by their own lethal selfishness. Superiors themselves can be affected by this disease, when they try to obtain the submission, loyalty and psychological dependency of their subordinates, but the end result is unhealthy complicity. The disease of indifference to others. This is where each leader thinks only of himself or herself, and loses the sincerity and warmth of [genuine] human relationships. This can happen in many ways: When the most knowledgeable person does not put that knowledge at the service of less knowledgeable colleagues, when you learn something and then keep it to yourself rather than sharing it in a helpful way with others; when out of jealousy or deceit you take joy in seeing others fall instead of helping them up and encouraging them. The disease of hoarding. This occurs when a leader tries to fill an existential void in his or her heart by accumulating material goods, not out of need but only in order to feel secure. The fact is that we are not able to bring material goods with us when we leave this life, since “the winding sheet does not have pockets” and all our treasures will never be able to fill that void; instead, they will only make it deeper and more demanding. Accumulating goods only burdens and inexorably slows down the journey! Lastly: the disease of extravagance and self-exhibition. This happens when a leader turns his or her service into power, and uses that power for material gain, or to acquire even greater power. This is the disease of persons who insatiably try to accumulate power and to this end are ready to slander, defame and discredit others; who put themselves on display to show that they are more capable than others. This disease does great harm because it leads people to justify the use of any means whatsoever to attain their goal, often in the name of justice and transparency! Here I remember a leader who used to call journalists to tell and invent private and confidential matters involving his colleagues. The only thing he was concerned about was being able to see himself on the front page, since this made him feel powerful and glamorous, while causing great harm to others and to the organization. So, are you a healthy leader? 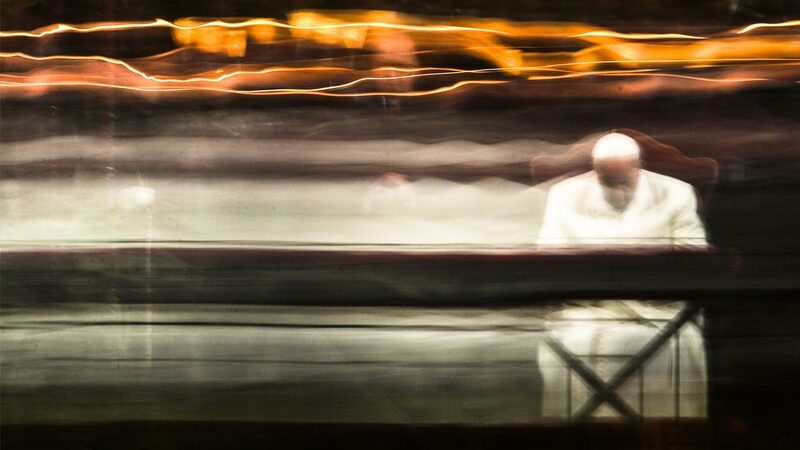 Use the Pope’s inventory of leadership maladies to find out. Ask yourself, on a scale of 1 to 5, to what extent do I . . .
Feel superior to those who work for me? Demonstrate an imbalance between work and other areas of life? Substitute formality for true human intimacy? Rely too much on plans and not enough on intuition and improvisation? Spend too little time breaking silos and building bridges? Fail to regularly acknowledge the debt I owe to my mentors and to others? Take too much satisfaction in my perks and privileges? Isolate myself from customers and first-level employees? Denigrate the motives and accomplishments of others? Exhibit or encourage undue deference and servility? Put my own success ahead of the success of others? Fail to cultivate a fun and joy-filled work environment? Exhibit selfishness when it comes to sharing rewards and praise? Encourage parochialism rather than community? Behave in ways that seem egocentric to those around me? As in all health matters, it’s good to get a second or third opinion. Ask your colleagues to score you on the same fifteen items. Don’t be surprised if they say, “Gee boss, you’re not looking too good today.” Like a battery of medical tests, these questions can help you zero in on opportunities to prevent disease and improve your health. A Papal leadership assessment may seem like a bit of a stretch. But remember: the responsibilities you hold as a leader, and the influence you have over others’ lives, can be profound. Why not turn to the Pope — a spiritual leader of leaders — for wisdom and advice?